29th April 2018 - BODIE 3.7 . you'll never walk alone ! It is a nice picture! Thanks. 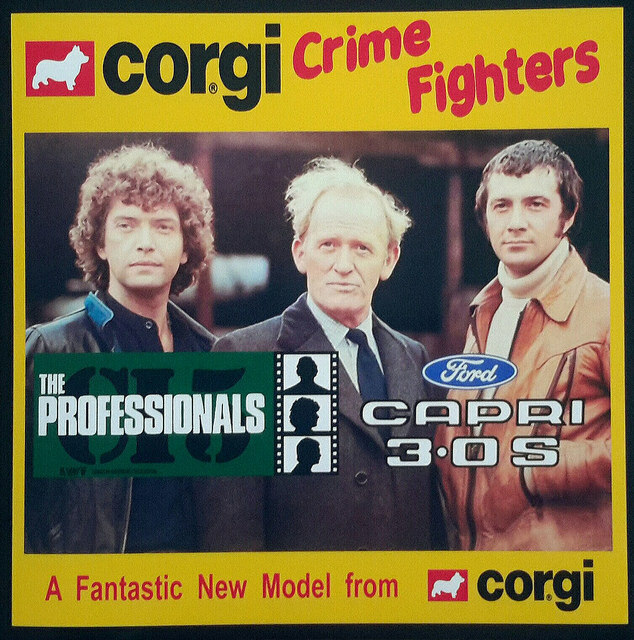 ha ha....maybe not quite those kind of corgi's, this is the sign that was originally brought out to advertise the corgi capri model and now it is available to buy as a reprint, mine arrived yesterday. They look good don't they. Thankyou. ooooh that was exactly what i was bought as a birthday gift, the silver capri with the two figures, still in it's box unopened in mint condition. That is a cool advertisement! Thanks. Thankyou, i agree and lovely to still be able to view it after all this time. But man - there is a part of me that would love to have a model or two. i can just imagine those kind of corgi's running around as super heroes ha ha. I was bought a model of the silver capri as a present for my birthday, it includes the two figures and is still in mint condition in it's box unopened. My mind went to the dogs first, too, even though I knew that wasn't what this was. Nice to see a piece of history, that's really cool that they're reprinting them. ha ha, no not quite those kind of corgi's , yes it's lovely to still be able to view the original sign and keep the history going. Yeah, don't throw anything away, you never know . I was bought a gift for my birthday of a model silver Capri, the box has never been opened and now I have it on display.